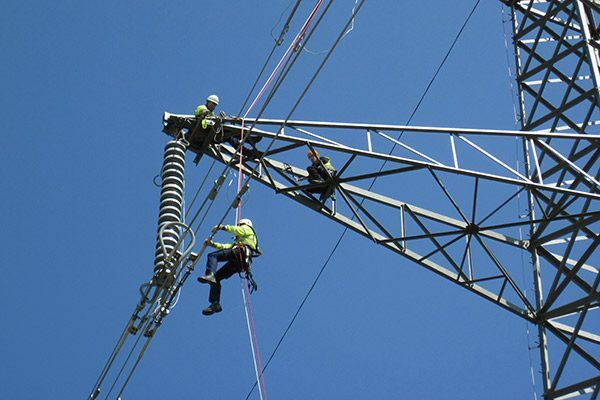 Fall arrest protection for the energy and utilities industry. Systems for ladder and pylon climbing, work positioning, fall arrest, evacuation and rescue after a fall. Utilities is a broad category which includes activities as diverse as overhead line work, pole climbing and confined space entry. In addition to a diverse range of fall protection systems which might be required, there are also differing needs for rescue and emergency equipment. heightec provide pre-assembled, ready to use work system for all work at height and rescue situations, including climbing kits, temporary vertical fall arrest anchor lines, positioning belts, confined entry systems and a full range of dedicated rescue equipment. The National Centre for Work at Height provides full training for all working situations, as indicated below.